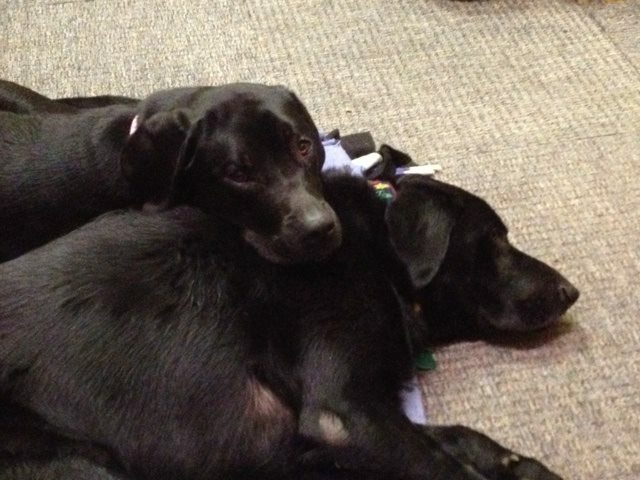 Forget about “Bring Your Daughter to Work Day.” At Swarthmore College Bookstore, every day is “Bring Your Dogs to Work Day.” For the past eight years, Steve Levin, the store’s book manager, has brought his pair of black labs to work with him. The dogs provide stress relief and comfort to students, staff and faculty. They have become a fixture at the store, and one of the most popular attractions for visitors to the campus. The current “bookstore dogs,” as they are known around campus, are George and Molly. They are the third and fourth rescue dogs that Levin has adopted and introduced into the Swarthmore College community. 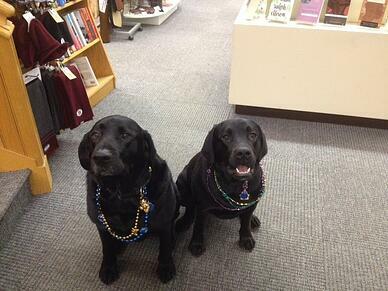 The original bookstore dogs were Bear and Ali. Before the dogs had a designated area, they had free range of the store. Bear would often lie on the floor at the foot of the steps leading down to the store, and sometimes students would plop right down next to him. Levin works very hard to train the rescue dogs to do well in the environment of the bookstore. They are exceptionally well cared for by Levin, and beloved by the community at the store and the school. “I always say that it’d be good to come back in another life as one of our bookstore dogs,” Grace joked. “Generally we have the same people stop in once or twice a week to see the dogs, and sometimes more. They just come by and hang out.” The dogs have frequent four-legged visitors in addition to their usual faithful fans. George and Molly also have a dedicated section of products geared towards other canines. 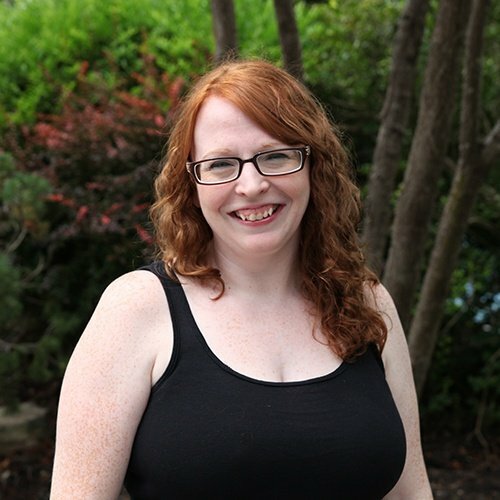 “They recommend certain products like dog treats, collars and other accessories. Those are always a big hit around Christmas, when students pick up George or Molly-approved rawhide bones or other treats for their dogs at home,” Grace said. The dogs have their own Facebook pages and post on a regular basis. Both dogs have friend counts numbering in the hundreds, composed mostly of students and alumni. Their job description lists them as “customer service specialists,” and they are always represented at pet-friendly campus events. “George and Molly always sponsor a watering station during those types of events,” Grace said. This year, Swarthmore is celebrating their sesquicentennial—that’s 150 years, in case it didn’t immediately spring to mind. In honor of this anniversary, a list was created with 150 favorite things that students and alumni did, should have done or wished that they’d done during their time at the school. And, of course, the bookstore dogs made an appearance: “Play with the dogs that live in the bookstore” is number 135 on the randomly-ordered list.